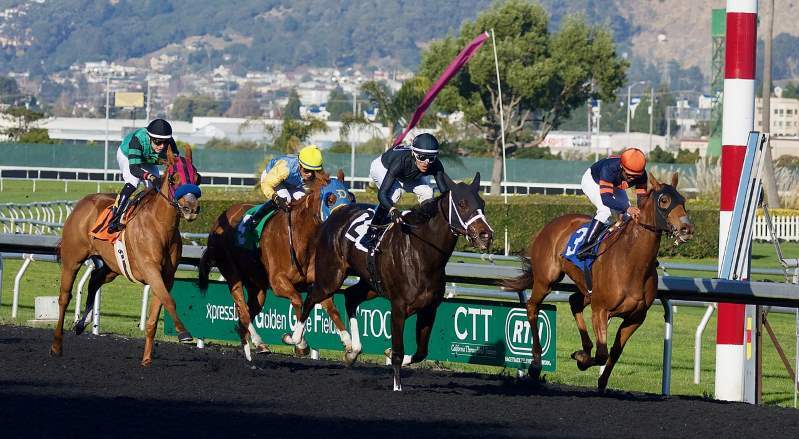 The fatal injury rate among American Thoroughbred racehorses rose slightly in 2018, although the increase is not considered statistically significant. The US Jockey Club has released the figures, based on analysis of data from the Equine Injury Database (EID) for the calendar year. The figures revealed an aggregated rate of fatal injury of 1.68 per 1000 starts. In 2017, it was 1.61 per 1000 starts. It is also slightly higher than the fatal injury rate for 2015 and 2016, but considerably better than the rates recorded from 2009 to 2014. Professor Tim Parkin, a veterinarian and epidemiologist from the University of Glasgow and consultant to the EID, performed the analysis. He concluded that the year-over-year aggregate increase was not statistically significant. “Analysis of the EID has demonstrated that there are a multitude of factors that contribute to the risk of fatal injuries in Thoroughbred racehorses,” he said. The 2018 study showed that 2-year-olds were associated with a statistically significant lower rate (1.28 per 1000 starts) compared to older horses (1.72 per 1000 starts). On synthetics, the rate was 1.23 per 1000 starts in 2018, compared to 1.10 in 2017. In addition, since March 2012, racetracks have been able to voluntarily publish their statistics from the EID in the Safety Initiatives section of The Jockey Club website. There are 25 tracks that self-reported during 2018, and their aggregate rate was 1.51. Since the EID’s inception, 109 racetracks have provided data. In 2019, tracks accounting for about 98% of flat-racing days are expected to contribute to the EID. The EID statistics include fatal injuries of Thoroughbreds that occurred during an official race as reported by veterinary officials. It also includes Thoroughbreds who succumbed to a race-related injury within 72 hours after race day. The statistics exclude steeplechase races. Summary statistics for the EID are subject to change due to several considerations, including reporting timeliness. The Equine Injury Database, conceived at the Grayson-Jockey Club Research Foundation’s first Welfare and Safety of the Racehorse Summit, was launched by The Jockey Club in July 2008 and seeks to identify the frequencies, types, and outcomes of racing injuries using a standardized format. The figures enable researchers to generate valid statistics and identifies markers for horses at increased risk of injury. It also serves as a data source for research directed at improving safety and preventing injuries. A graph depicting all updated statistical data pertaining to surface, distance, and age is available here. The list of racetracks participating in the Equine Injury Database and detailed statistics from those tracks that voluntarily publish their results can be found here.